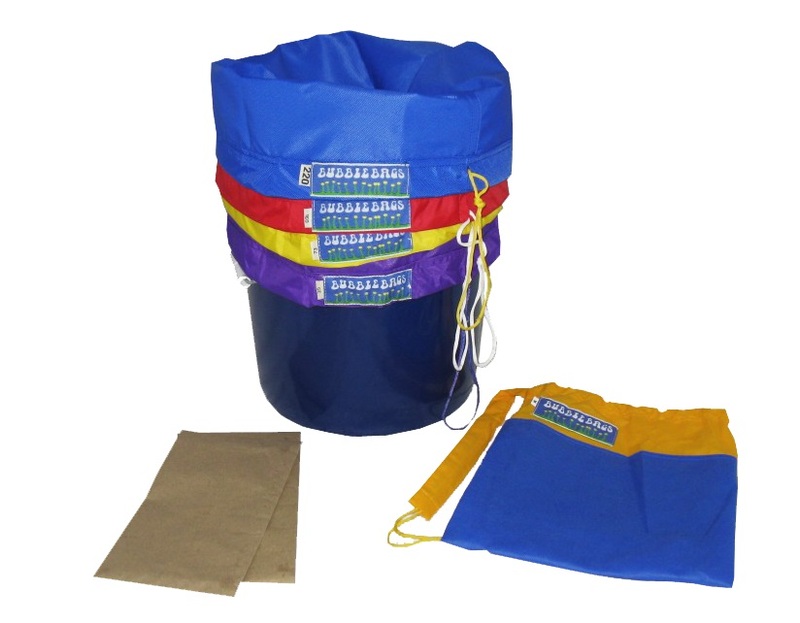 The Standard 5 Gallon 4 Bag Kit contains a work bag, a contaminant removal bag, and two crystal collection bags. It also includes 2 blotting screens and carrying bag. The 5 Gallon Standard Bubble Bag kits can process up to 0.5 pounds or approximately 200 grams (dry weight) of plant material at a time. Make this kit even better by adding the 45 micron bag and/or the 90 micron bag. The 45 micron bag helps avoid problems with the 25 micron bag draining too slowly. The 90 micron bag is a popular addition to improve the quality of the extract formerly found in the 73 micron bag. The bucket shown is not included with this kit.